Welcome to another edition of Book Notes. 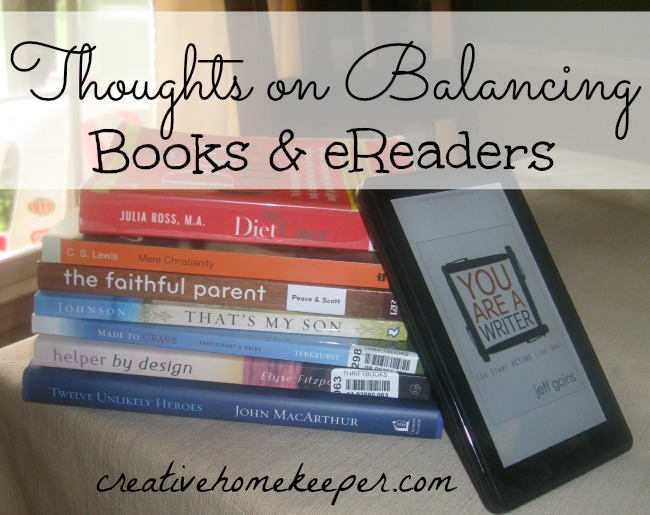 Today I’m taking a different direction than what I have shared in the past with something that has been on my heart and mind lately… balancing books and eReaders. I’m also opening it up again for you to share your book related posts. 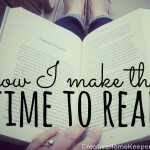 I love to read your recommendations and reviews, my to-read list is constantly growing! Thanks for taking the time to join in on the community of book lovers in sharing the love of reading. A few years ago I made the bold statement that I would never own an eReader. I am now eating my words! I love books. I love the way they feel in my hands. I love browsing the bookstore examining all those covers, and yes I do admit, that I almost always judge a book by the cover, but the thought of reading a book on an electronic device just sounded crazy to me. Then I had my first son and I quickly discovered just how much time nursing would take and there is only so much TV I could stomach, but I hadn’t mastered the ability to be able to hold a book and turn the page with one hand while holding my nursing baby in the other. 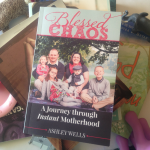 I remember other moms talking about their Kindles in a breastfeeding support group I was in. They were all talking about how easy it was to read with one hand. I was intrigued, but also skeptical. I didn’t want to betray one of my greatest loves by selling out and going the trendy way, because at the time I sincerely thought that eReaders were just a “trend”. Then Amazon announced that they were rolling out the Kindle Fire (the original) as a way to compete with the iPad. Again I was intrigued, a way to read books and catch up on my favorite blogs and Facebook without having to sit at the computer (this was before I had my Smart phone). For my birthday that year I surrendered and my husband bought me the Kindle Fire and my world have forever changed (doesn’t that sound dramatic!) What was once something that I had fought against became something that was always at my side. I now had the ability to read with one hand while I nursed. I also discovered just how many eBooks were free or heavily discounted thanks to not having to pay for printing. Despite how much I love my Kindle and the ability to have hundreds of thousands books available at the click of a button, I’m still deeply in love with traditional hardback (and paperback) books. I like balancing my time reading physical books for the main reason that my kids need to see me reading “real” books. Not that I view eBooks as not real, but my kids are not yet old to make that connection. When they see me with my Kindle they might not be aware that what I’m actually doing is reading. While I do tell my son I am reading when he asks what I’m looking at, I do think it’s a hard concept for little ones to grasp. To help with this understanding I have also downloaded several children’s books on my Kindle to periodically read with him. But I spend most of our reading time together reading actual books. With technology ever changing and becoming more of a focus on our lives I’m not blind to the fact that actual books might very well be replaced by eReaders in my life (that’s a very sad thought). A world without actual books is something that I don’t long for, and to be honest I have a really hard time ever believing that books will not be around. So I will continue to teach my children to love reading books and model for them as well. I will continue to find the balance between reading on my Kindle and reading from the stacks of books on my bookshelves. What is your favorite way to read books currently? How do you balance between reading books and eBooks? This link up will be open until March 31, and for those of you who like to plan ahead, March’s Book Notes will be live on Monday April 7. I have to admit as my time has grown more limited as a mom, I’ve enjoyed my kindle more and more… However, there is still nothing like a real book to hold and read. I won’t give up print books forever, but at this stage of life, an ereader is a must for me. Yes having a Kindle has definitely been a luxury during this season, I too wouldn’t have been able to read so many books without it! Ahh, the dilemma of traditional vs digital. It applies to so many things today. I am still a hard-copy, pages in my hand girl, when it comes to reading books. But, then again I like the simplicity of carrying my mini-ipad with me for my calendar etc. I think a combo approach is a good thing. 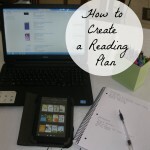 Thanks for opportunity to link up a post re: books too. Visiting you via #SITSShare saturday linkup. It is such a balance! Like all things, there are positives and negatives, but like you said a combo approach is a good thing. Thanks Barb! I love my Kindle paperwhite and because I have weak hands from my chronic illness, it is much easier to hold. My youngest knows I am reading on it because we play games where he identifies the letters on the page. The paperwhite is only for reading. I dont do much browsing. Of course I am at the library with them every week too and we read together every day. We have plenty of books in the house, mine and theirs because my kids and I are all bookworms. Stopping by from SITS and hope you stop by my blog too cause I do blog about books too. Not this past week with all the linkies I had going on but usually 🙂 will add your button to my page when I am back at my computer. Hope you link up your posts to mylinkies too! Thanks Tanya, I’ll be sure to check you out! And thanks for the reminder that we have to “teach” our kids about our devices and how to use them appropriately for reading. Such a great lesson! 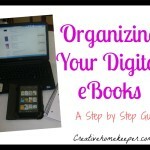 I was stationed in Germany when the very first Kindle came out, it was $400 and I was skeptical so I couldn’t throw down the money for myself – but my parents knew how difficult it was to be at the mercy of the base bookstore (or, okay – to have to wait for Amazon to ship my book) and the idea of being able to download a book at the touch of the button was fabulous. So I got one for my birthday and I’ve never turned back. I’m currently with my fourth iteration of the Kindle (the Paperwhite) and I love it, but I too worry about what my three year old thinks that I’m doing staring at that screen all day. I balance it with bedtime stories and picture books – she won’t be read to from any electronic device (she gets too excited!) it’s definitely something on my mind.